On my journey to Tucson I decided to visit some of the nation’s wildlife refuges, beginning with the Mississippi Sandhill Crane refuge, near Moss Point, MS. The refuge is comprised of private holdings, public lands, and joint agency wildlife management areas. It is beautiful. The cranes are a native species. There are 139 cranes in the whole refuge which spans thousands of acres. When I asked why so few, the docent asserted the current population was a huge success: the population had declined to a few dozen at the time the refuge was established. Many specific efforts have been ongoing from restoring the habitat to its natural condition to hand-rearing crane infants to adulthood, and releasing them into the refuge. The Mississippi Sandhill Crane is considered an “umbrella species” by scientists; it is protected under the Endangered Species Act. The latter protects habitats through the keystone or umbrella species that are specifically shown to be threatened or endangered. This results in thousands of other species being protected under the umbrella. Restoration of the watershed, forests, and marshlands benefits humans with beauty, hunting and fishing opportunities, research, clean watersheds, and flood control. I spotted three Sandhill cranes under that shade of a large oak in a privately owned home adjacent to the refuge–along with a rooster and hen. Looked like a leisurely commiseration among species. I also visited the Atchafalaya NWR and the Lacassine NWR. They are both located in Louisiana and are wild places. I saw hunters and fishermen, boating, and wonderful old hunting camps and clubs at Atchafalaya, and flocks of egrets, cranes, geese, and ducks at Lacassine. The latter has a 16,000 acre fresh water pool that is mostly filled by rainwater. The marshes are wild places alive with birdsong and the croaks and bleeps of habitat teeming with life. This refuge is at the juncture of the Central and Eastern flyways and provide overwintering and stopovers for thousands of migrating birds. Louisiana is this kind of contrast: all around the refuges are oil refinery plants, and gas pipelines thread through the land and water resources along the I-10 corridor. So while the state may support a highly polluting energy source (one we all use without a thought), the state also highly values wildlife. It is a cognitive dissonance that lingers on my mind as I head out into the Texas plains. I plan to stop at the Prairie Chicken NWR today. Last week I began a long journey to promote my novel, Threshold, in Tucson and the Southwest. I am currently setting up readings and book discussions. You can contact we here or on Facebook at Susan Lee Feathers to set up a reading. Before actually heading west, I am at a writing residency in Sewanee, Tennessee at the Rivendell Writers’ Colony. 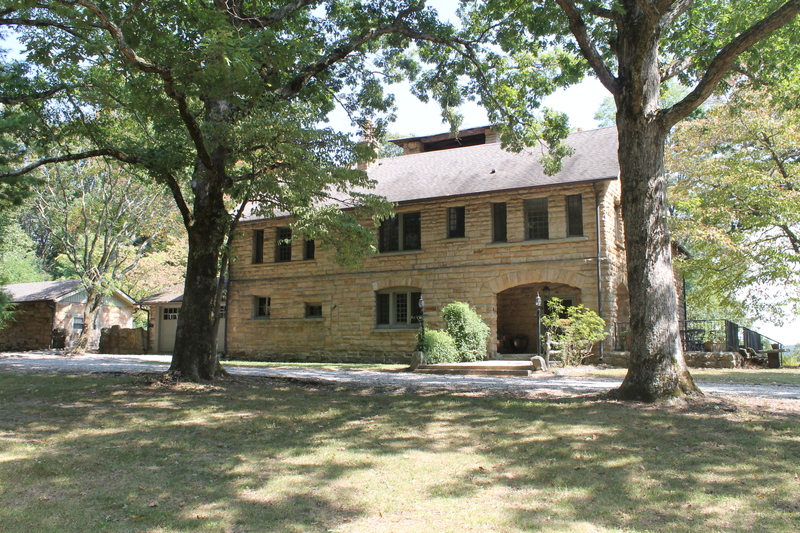 Rivendell Writers’ Colony is inspired by the literary legacy found in Sewanee, Tennessee. The Sewanee Review, which has published a long list of literary geniuses such as Flannery O’Connor, Wendell Berry, and T.S. Eliot, as well as many other prominent and promising writers, was founded in 1892 and is renowned as the nation’s oldest continually-published literary quarterly. The work at Rivendell is fostered by its natural beauty and the coming and going of writers who each demonstrate the range of “writing lives” among us. Poets, short story writers, screen writers, and even serious readers. The new book I am drafting at Rivendell takes place among groups of people living near the Colorado River from 1500 to 1998. These stories encompass the River People – original people of the river – and the steamboat business that responded to the needs of settlers and gold seekers crossing to California. It follows the development of the river as a thoroughfare for supplies and a source of water to turn the desert into gardens, and to support the growth of cities. Like Threshold, the novel focuses on the values of a people and how they impact the land beneath their feet. My inspiration for the book is based on personal experiences in Yuma, Arizona and the works of Aldo Leopold.